Everybody knows Bitcoin nowadays. But the cryptocurrency world is far and wide. It is rapidly changing more and more industries. And Cannabis has its place in the crypto universe as well! Here you will get an overview of the cannabis industry and tokens. Last year cannabis tokens came out big and according to many analyses, they will perform even better in 2018. Recently, the history notwithstanding, this has changed. Since 2014, almost a dozen states from the US now allow for the legal production and use of recreational cannabis and even more so have made room for its medicinal consumption. In Canada, more than 60% of its population has used the plant. During the same period, the price per gram took a dive from $45 to $12.77 in Washington for example (1). The fact that you can grow other crops than Cannabis means their product will be useful even if you decide not to grow Cannabis. They are currently doing an ICO to introduce the Agro Tech Farm Token (ATF) and it will be interesting to see how this develops. Infrastructure is the backbone of all industries. A market’s growth potential is worthless without proper infrastructure. Think about it this way: the fastest car in the world is good for nothing without roads. Budbo’s platform is a global cannabis blockchain that allows any ancillary service or cannabis related business to integrate into and harness the power of its immutable ledger. With their token sale, they aim to tokenize their blockchain and become the single point data aggregate for the cannabis industry. Utilizing the tokens as the API keys to access the ledger. Paragon successfully launched its initial platform and functionality in late 2017 and is now progressing towards a fully-fledged release in mid-2018. This project, like Dope Coin, is a bit of a hybrid. It combines a payment platform with a mission to rebrand the industry. Their eight-page whitepaper does shed little light on what exactly they mean by this term. To the best of our knowledge, they want to develop a community that will actively push pro-cannabis materials like artwork, blog posts, articles and others to improve the image of the industry. 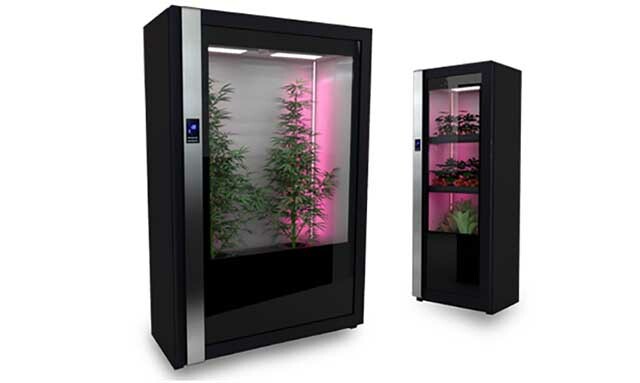 These projects aim to facilitate payments to cannabis businesses in a secure way. Yet, their websites do not offer enough information. Together with that, growers who develop a new strain will have the opportunity to sell it on their platform and earn tokens. Smoke Exchange says they will release a working demo in Q1/2018. Cannabis tokens are will most likely be a good buy in 2018. Yet, be cautious when it comes to projects without a working product or that have too much hype around them. The post The Ultimate Guide to Cannabis Tokens appeared first on Bitcoinist.com.